I have two nephews who both potty trained quickly and easily at around the two-year mark so in my head that is how potty training ought to be. I have to confess, in the past I have found myself thinking of parents as lazy for not having their child toilet trained before they are three years old, and I would like to apologise whole-heartedly for that, I had no idea how wrong I was. 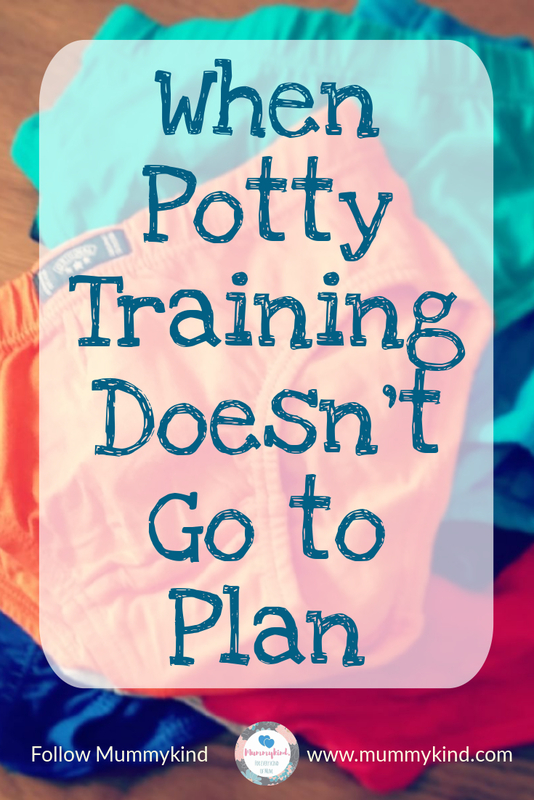 As it happens, potty training can actually be a real pain. I have read extensively about how you can potty train a child in a week just by taking their nappies away and putting underwear on them and being shut-ins for a week or about reward charts and stickers and excessive praise can have a child dry in no time. None of that prepared me for the urine soaked chaos of trying to get my son to independently use a potty or toilet. We are around three months into our “journey” (if you can really call it that) after failing miserably at an attempt around six months ago which resulted in every single pair of undies my son has being soiled within a day and outright refusal to go near the potty. Naturally, when my son refused to let me put a nappy on him only a few months after the initial attempt I was apprehensive but also excited that this could finally be happening. I certainly didn’t expect everything to still be the same after three more months. The first few days were great, no big accidents and all the wee went in the potty (there was a bit of poo confusion but oh well, it was early days). Everything was going well… but my son was permanently naked from the waist down. As soon as we put pants or trousers on him he wets. Every. Single. Time. Which would be fine if it hadn’t been snowing and if he would leave the eczema on his legs along but it has and he won’t. We have to regularly strip him down to use the toilet and he never asks to go so we have to prompt very regularly and often get accidents. Since his first successful poo on the potty two days in he has not done another and now insists on doing it in a nappy. I know we will have to get to the bottom of it but I’m not about to force the poor kid to sit on the potty and poo when he is visibly distressed. So my boy, who will be three years old soon, cannot use a potty or toilet independently and that is absolutely fine. Unfortunately, I don’t have a miracle piece of potty training advice to offer because this is ongoing for our family but if it’s like this for us there must be parents out there who think they are doing it wrong or that this isn’t normal. I just want to say; you are absolutely not alone. On the plus side, I am clearly a font of patience and serenity because three months of being wee’d on and literally catching poo has not broken me and we still have a little round of applause for every wee in the toilet and I even offer praise for little toots that happen whilst he is sat on the potty, hoping that one of them will be a poo one day. Next Post Mental Health Monday: 8 ways to stay motivated!